Oh how the years flown by. It was the year 2009, when I got a taste of a runway show. 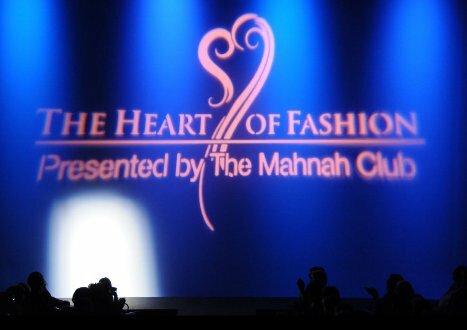 The Mahnah club was hosting the Heart of Fashion runway show, which was a fundraising event. They collaborated with Phoenix college fashion students for a special project. 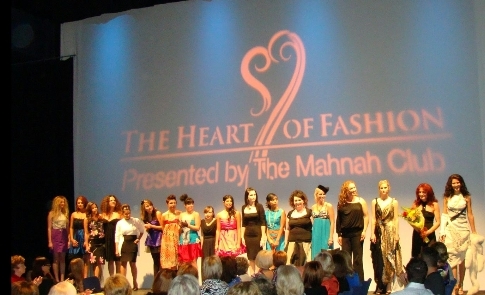 I happen to be a fashion student at the time, and got the opportunity to participate. It felt like a project runway moment because we where given a small budget to buy clothes from thrift store and the catch was to re-fashion them. At the time I was out of town and couldn't go shopping with my fellow classmates, so a good friend of mine chose my articles of clothing. When I returned from my trip, I was nervous to see what she had picked out for me. What I saw was a scary prom dress which was a purple taffeta with velvet flower prints all over. 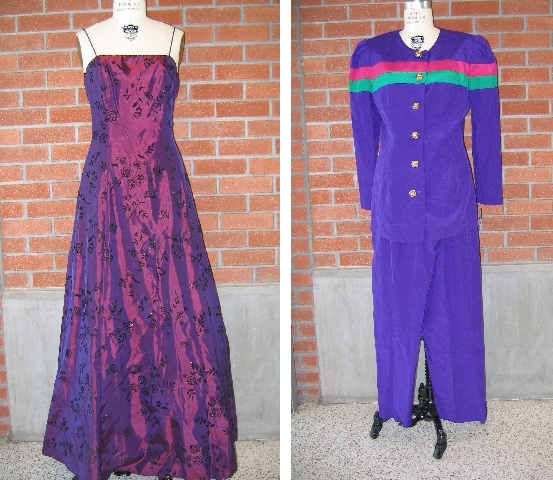 Along with an old school two piece suit in purple with a hint of pink as accent on the jacket. I have to admit I was worried but at the same time pleased with the color purple. Here is a picture of the garments that I was given, scary right? I started tearing the clothes apart and as I did, I saw that the inside of the prom dress the fabric looked amazing and way different then the outside. Immediately I knew I wanted to use the reverse side instead. Also, I saw that the prom dress had black tulle to keep the dress puffy (I am a huge fan of tulle, ballerina each year as a child thank you very much)! After hours of analyzing the materials that I had in front of me, I then began sketching and trying to figure out a new design. It was very challenging because these where scraps of fabric and the pattern pieces had to fit. Finally, I decided I wanted a flirty cocktail dress.The dress was going to be consisting of strapless tube for the bodice with princess seams made out of the purple suit fabric. With the skirt, I took advantage of how much fabric the original prom dress had and made a three tier skirt; the first two tiers where gathered and the last tier was the tulle. Overall I was happy with my new design; it was young, flirty, and fun! Got'a say I had so much fun, and it was definitely a challenge. 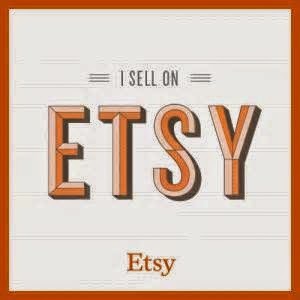 Have you ever refashioned your clothing before? What do you think of the before and after? Here are some pictures of the fashion show! Here are some more pictures of backstage.